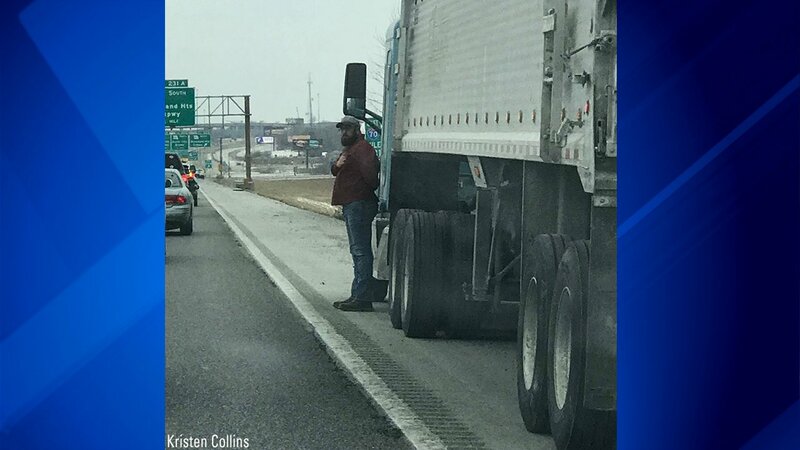 ST . LOUIS (WPVI) -- A truck driver in Missouri stopped on a highway shoulder to pay respects during a funeral procession for a fellow veteran. WLS-TV reports, on Friday, Bradley Faulkner, a truck driver and U.S. Army veteran, pulled his rig over on Highway 70 outside St. Louis, exited his cab and placed his hand over his heart.